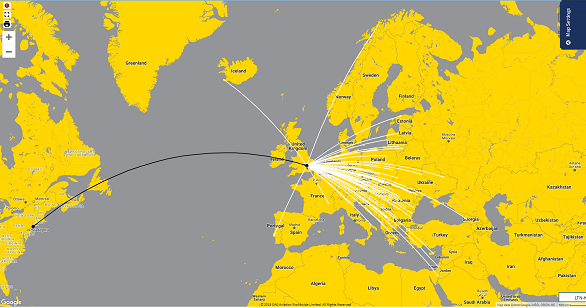 Boardroom quality, easy-to-export flight route maps that bring your business case to life. 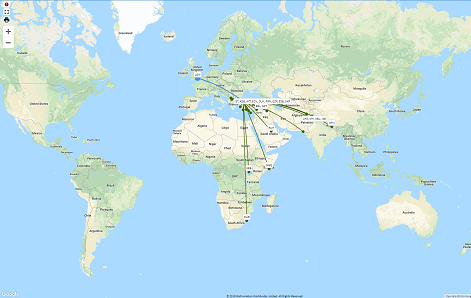 Build a new airline network map, plot potential routes and visualise 'what if' changes to your network. Access OAG’s schedules database to create customised, on-brand, outstanding visuals in-house. 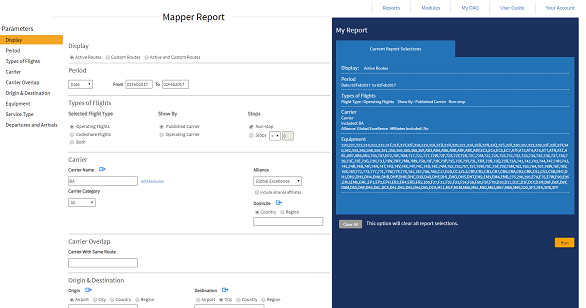 View existing routes and new 'custom' routes in one map with query options. Access rich historical data and full future data with access to our full database. Match your corporate colours to stay on-brand with rich customisation options.